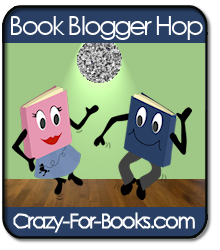 Bloggin' 'bout Books: It's That Time Again - Hop To It! Ahhh ... the weekend .... you know what that means - it's time to Hop. If you haven't joined in before, do it now. It's a fun way to discover new book blogs. I'm always amazed at the number that have sprung up in the last year. So fun! Click on over to Crazy For Books and sign up. Jen's question this week has to do with books we're dying to get our hands on (past, present or future). I'm sure I'm not the only one who can't wait for Mockingjay, the third in the Hunger Games series. I'm also eager to read Matched by Ally Condie. I've read several of her LDS books, and can't wait to see what her new one's all about. Which books are you itching to get your hands on? Oh, and if you're here because of the Hop - Welcome! I'm so glad you stopped by. Are you Jen of Jen's Book Talk? If so, please email me at spvaughan@yahoo.com so I can edit my review and steer people to you current site. I just finished my review of I, Alex Crossed where I talked not only about the book but what a good reviewer you are! I feel like a kid at camp banging my fork on the table chanting for dinner... Mock-ing-jay! Mock-ing-jay! Mock-ing-jay! Stopping by from the Book Blogger Hop! Your blog is great! Love your cute button. I'm your newest follower! I look forward to reading this one too, but want to read "Catching Fire" first. I've heard a lot of good things about the Hunger Game series. Unfortunately, I haven't been able to read any of them yet! I am definitely planning on it. I have to see what all the hype is about! Just to let you know, I found your blog through the Hop and am now a new follower! My blog is fairly new. Your blog is very cute! Stopping by from the Hop. I"m a new follower.